The theme for 2019 is our Sampler Collection Two. Picture This Plus has many wonderful colors appropriate for samplers and background that we wanted to offer another year of these wonderful shades. Lizzie Kate mysteries. This color will be one of the 2019 Nashville releases by PTP. 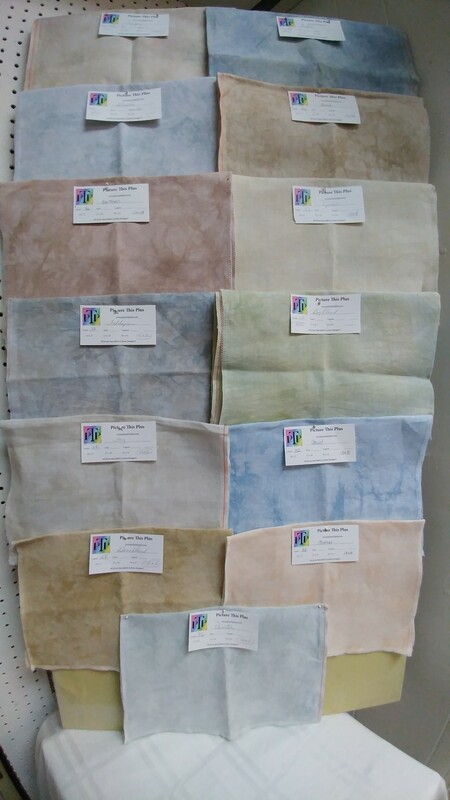 The fabrics in the photo above are from Left to Right on the top row: Pewter, Murmur, Heartland, Ariel, Fog, Highland and Feldspar. 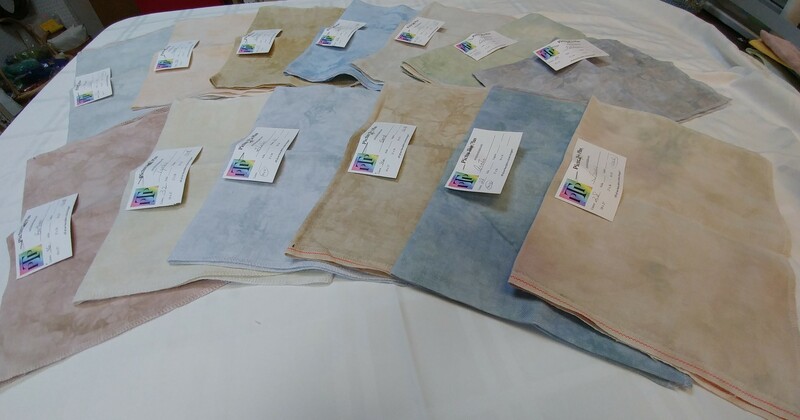 The bottom row fabrics, from Left to Right are Earthen, Tycho, Helix, Sand, Arctic and Fresco. When you join our club, beginning in January 2019 we will ship you one of these linens each month. In December, you will receive your regular piece of linen, plus a 13th piece "on us" as a way of saying thanks for participating. We ship all packages via US mail as safely and inexpensively as possible. We do track all of our packages. Please remember that once you choose your count and size of fabric, and your choice of regular or Crystal, you will not be able to change it during the year. You must also remain with the program for the entire year to receive your free fabric in December. However, you may cancel your membership at any time. needed by Picture This Plus to prepare for the January shipment. We will ship your fabric via US Mail as safely and inexpensively as possible with tracking information. We hope you will join us again this year for our Baker's Dozen Fabric of the Month Club!